This is the story of a man and a building, and their tracing of decades at Pfizer and the biopharma industry. 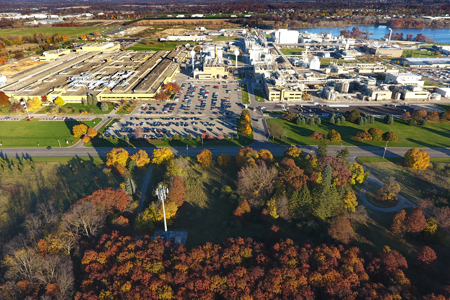 For 70 years, massive Building 41 has stood – indeed has led – the march of time in drug development and product manufacturing at the center of Pfizer’s sprawling campus in Kalamazoo, Michigan. Bob Betzig, Site Leader at Kalamazoo for Pfizer Global Supply, has been an eyewitness to 35 years of that history. But some things do come to an end. Betzig and I spoke just prior to his retirement (officially March 24th) about what he’s experienced over the years through the lens of Building 41, where he thinks the industry stands now, and where it’s heading. Particularly for our readers, he also traces the progressions of biopharma outsourcing. 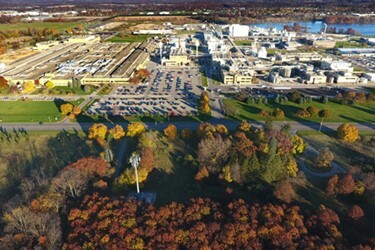 Betzig first stepped foot on the expansive Kalamazoo development and manufacturing campus right out of his university campus, in 1983. He was hired as a microbiologist for the site, which at that time was owned and operated by Upjohn. And it is an aspect of quality – validation – that profoundly influenced Betzig’s outlook on development and manufacturing throughout his career. When he entered the industry, the only processes that nowadays we’d deem “validated” were associated with sterility – specifically sterile injectables, a capability that the Kalamazoo site to this day is known for. “I remember starting a sterilization validation for a product at our site, and just assuming everybody in the industry did it pretty much the same way,” he tells me. “Then one day the company told everyone: ‘Okay, the agencies are now requiring us to do validation, and here’s the direction we’re going to go.’ It was a long time ago, but I can still remember the presenter pulling up the definition of validation out of a Webster’s dictionary and writing it on the board for everyone to see. The second change leaving an early impression on Betzig – and one that to this day drives our industry – is the advancement of automation. “I think we had 6,000 people here,” Betzig begins. “We have 2,400 today. Over the years this has been an extraordinary successful site in regards to volumes, products, productivity, and technologies. A major difference has been automation. Back then, there were conveyors taking bottles from one place to another, but there was no automated inspection; there would have been somebody actually sitting in front of lines. With solid orals production, somebody sat in front of a machine that counted tablets going into the vials, watching to make sure everything came out okay. Let’s turn now to outsourcing. I ask Betzig when and how the concept started to influence or impact what he did, Building 41, and the entire industry. Those buildings and processes are vertically integrated, says Betzig. For example, to manufacture steroids and hormones, the fermentation plant first converts the raw material soy sterols into steroid and hormone intermediates. Those intermediates are transported to the site’s organic synthesis plant to complete the API process. Some of those APIs then go to Building 41 to be used in the manufacture of sterile injectables. The site produces compounds for Pfizer’s own products and for customers of Pfizer CentreOne, Pfizer’s contract manufacturing business. Two-thirds of the APIs produced at the site are for contract partners and customers. Fast forward to 2003, when Pfizer acquired the site (from Pharmacia, created when Pharmacia & Upjohn merged with Monsanto and Searle). Betzig became the supply chain lead for the entire campus, which included API and drug product. A continuing string of acquisitions and unit spinouts helped Pfizer become comfortable with the give-and-take of the external supply chain, and what we mostly call outsourcing today. Other biopharma organizations have had similar experiences, and collectively these have brought a global industry of fierce competitors into a symbiosis of supply partnerships: Outsourcing as a natural phenomenon of doing business. And subsequently leading to a consciously formed biopharma industry full of CDMOs and CMOs, dedicated to the very big and the very smallest of drug developers and sponsors. 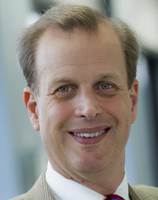 Next up: Pfizer’s Betzig describes today’s and future drivers of technology and budgets for development and manufacturing in the biopharma industry.